I’m Ed Smith, a Sacramento bicycle accident lawyer. Bicycling has become more popular in recent years both as a means of transportation to and from work as well as a way to stay fit. There are rules that bicyclists must obey when they share the road with motorists. Use caution when driving near a bicyclist because a bicycle rider can hit a bump and take a spill in front of a vehicle. Although California drivers are required to give bicycle riders a minimum of three feet clearance, it is a good idea to allow as much room as possible while staying safe. In addition, it can be unnerving to a bicycle rider when a motor vehicle speeds up to pass the rider more quickly. Slow and steady is a better idea, so the bicycle rider knows exactly where the motor vehicle is. According to the National Highway Traffic Safety Administration, 2 percent of injuries and deaths occur to bicycle riders annually. The group, People for Bikes, points out that bicycle riders are vulnerable on the road. Beside having a lack of personal protective gear, bicycles weigh an average of 20 pounds as opposed to a motor vehicle, which weighs in the thousands of pounds. Remember that bicycle riders have the same rights as those driving motor vehicles. Become familiar with the rights of bicyclists, and use caution with making a turn with a motor vehicle or moving into the bike lane to make that turn. The California Department of Motor Vehicles offers safety tips for both drivers of motor vehicles and bicyclists. Following a collision with a bicyclist, drivers of motor vehicles frequently say they never saw the rider. Paying attention to what is going on around your motor vehicle is necessary, and that means no texting while driving or other negligent behavior. Exercise extra caution at intersections. A bicycle rider may be in a motor vehicle’s blind spot. When a motor vehicle makes a turn without signaling first, it can cause an accident. If you are unsure whether a bicycle rider is continuing on straight or making a turn, watch for the bike rider’s hand signals. Just as bicyclists have rights when sharing the road, there are responsibilities they must embrace. Under California Vehicle Code 21200.5, it is unlawful for a bicyclist to drink or be impaired by drugs while they are on the road. If the biker is convicted of impaired driving, he or she will be fined $250. In the event the bicyclist is older than 13 but under 21 when the offense happens, obtaining a driver’s license may be delayed for a year. One of the most important responsibilities a biker has is to remain safe. 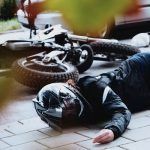 Traumatic head injury is a serious injury and one that can affect a biker for years to come. By wearing a helmet, the chance of a traumatic head injury is greatly reduced. 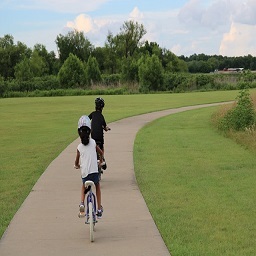 Under California Vehicle Code 21212, a bicyclist under 18 must wear a helmet when riding on a public trail, in the street or on a bike path. If a child is in a restraining seat or in a trailer behind the bike, they too must wear a helmet. The helmet must meet the standards for headgear from the Snell Foundation or the American National Standards Institute. The helmet should be certified as meeting the standards The helmet must fit appropriately and be fastened under the chin. In fact, it is illegal for helmets that do not meet the standards to be sold in the state. I’m Ed Smith, a Sacramento bicycle accident lawyer. As anyone knows who has been involved in a bicycle collision with a motor vehicle, it can result in serious injuries, lost time from work and high medical bills. 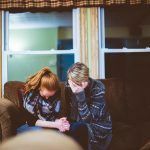 If you or a member of your family has been injured through the negligence of someone else, feel free to give me a call at (916) 921-6400. The advice I have to offer is free and always friendly. Outside the local area, the toll-free line is (800) 404-5400. 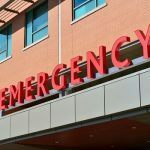 I am proud to have served the residents of Northern California, including Sacramento, as an injury lawyer for 35 years by helping them obtain fair compensation for their traumatic injuries and for the loss of a loved one through compensation for a wrongful death. As always, you owe nothing until your claim has been settled. The following websites with links contain reviews by some of my prior clients: Avvo, Yelp and Google. For additional information, I belong to the Million Dollar Advocates, a forum made up of top trial lawyers with a record of settlements/verdicts of $1 million. The verdicts and settlements page on my website offers insight into some of my prior cases and their results. 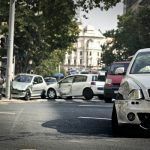 My website, autoaccident.com, is a valuable source of information about California personal injuries, along with legal information and interesting blog topics.